This foundation is suitable for all skin types and for those who want a moist and natural finishing. A foundation with a fresh and moisturizing finishing! A foundation of emulsion which provides hydration and a bright finishing that lasts all day. It is practical and portable for retouching when necessary. It also protects against UVA/B rays and has high treatment benefits. Apply after the pre makeup cream. Use with dry sponge, spread over the face from the center outwards. Wash the sponge once a week. Created to celebrate and enhance the beauty, Shiseido Makeup, presents an exceptional collection of colors and textures. 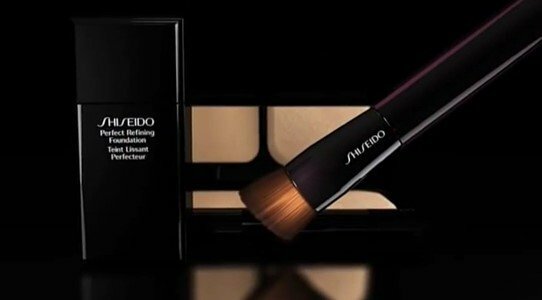 So that all women can enjoy a look that suits their personality, Shiseido ensures always a modern and current collection with a wide range of colors and application options.